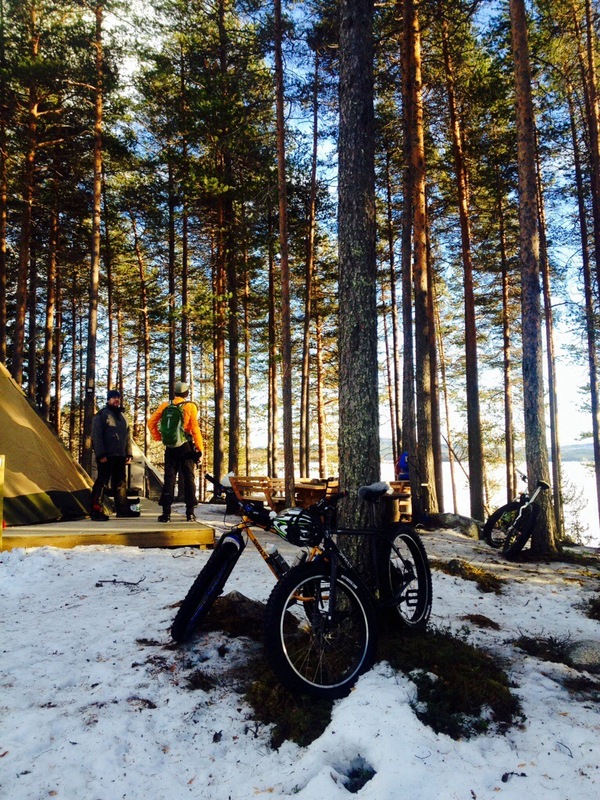 I called Sven and we decided to load the bikes and drive up to the Råneå river vally. The idea was to ride along the Ore trail for a few miles. It might just be hard enough to ride despite the warm weather. 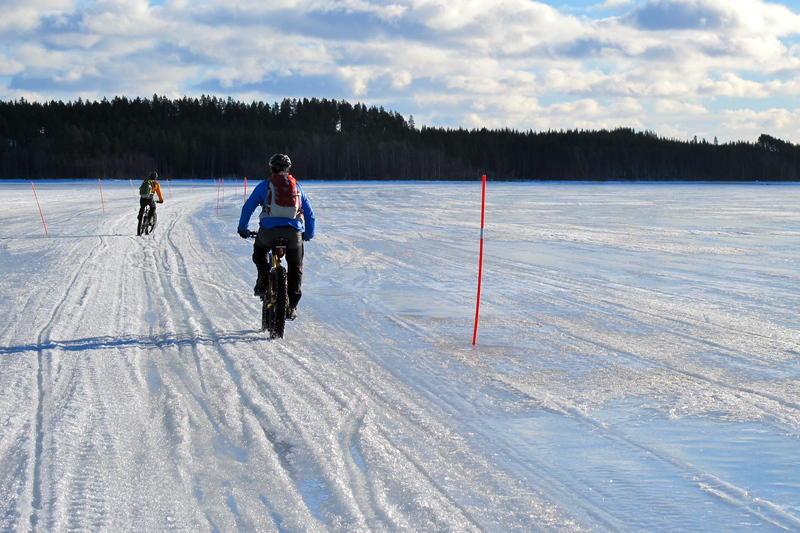 This was also a chance to check if the ore trail was possible to ride the whole 200 kilometers, a trip me and Sven been planning for a while. I was not. 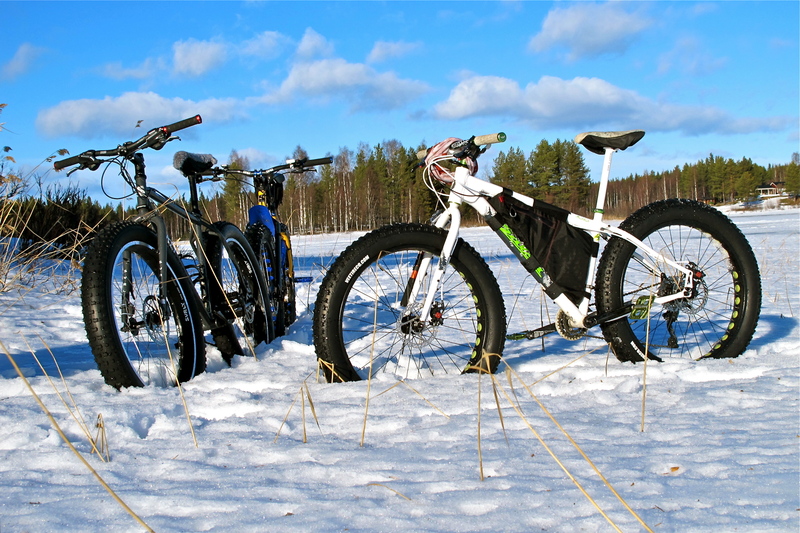 After a few hundred meters of super soft wet sugar slushy snow we almost gave up, almost. Still the sun was shining and the thermometer said around +8°c we decided to give it a shot. It was a struggle but crossing a few lakes on the way made it a bit easier. Slush on the ore trail. After 18 hard earned kilometers we reached the Aurora Safari Camp and Fredrik tagged along (on snowmobile) and we had some coffee and a chat in the amazing camp. Aurora Safari Camp is glamping at it´s best. I think Kevin was quite satisfied even if he got a taste of spring instead of winter. It was great to get to know him, cycling makes the world a smaller place and despite cultural difference we are all the same. 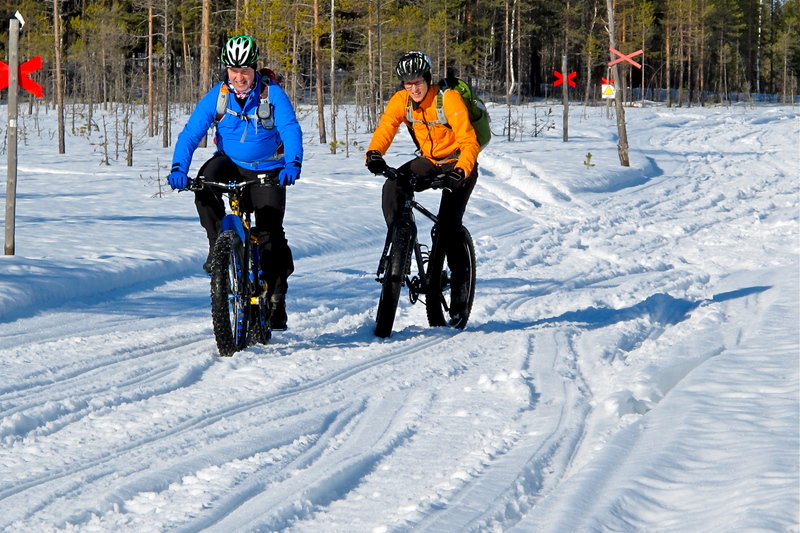 Kevin was the first winter cycling tourist in Swedish Lapland but sure not the last.